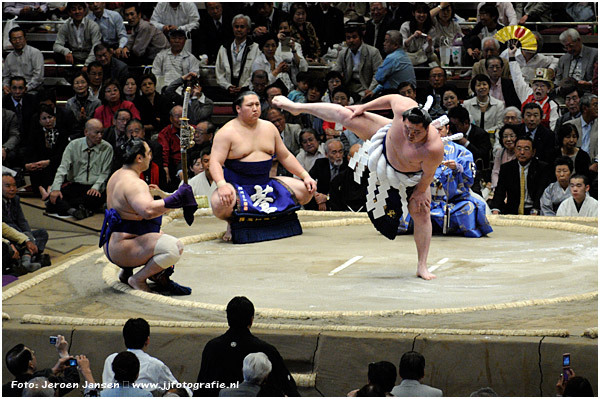 Hakuho performing his dohyo-iri. 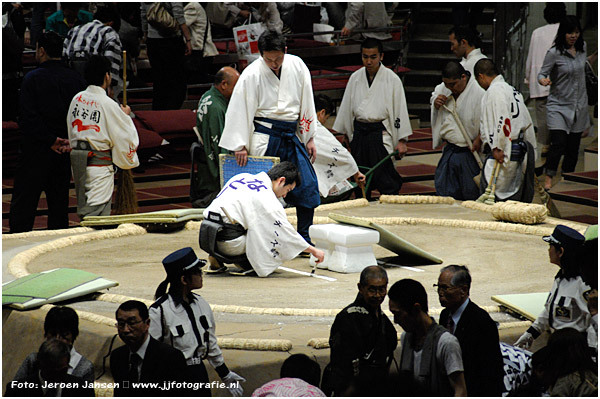 A yokozuna* (Grand Champion) performs the ceremony with two attendants, the tachimochi (sword carrier) and the tsuyuharai (dew sweeper). 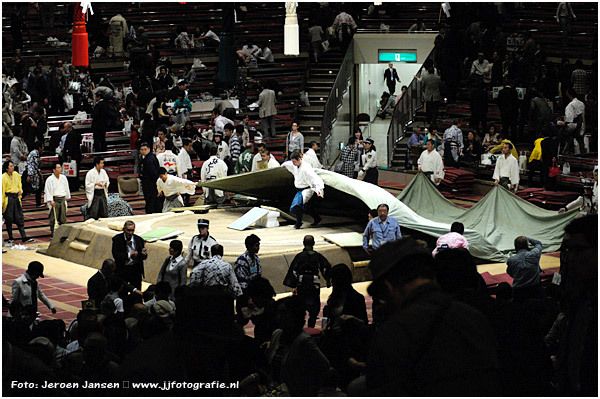 On this photo you see the shiko: the sumo exercise where each leg in succession is lifted as high and as straight as possible, and then brought down to stomp on the ground with considerable force. 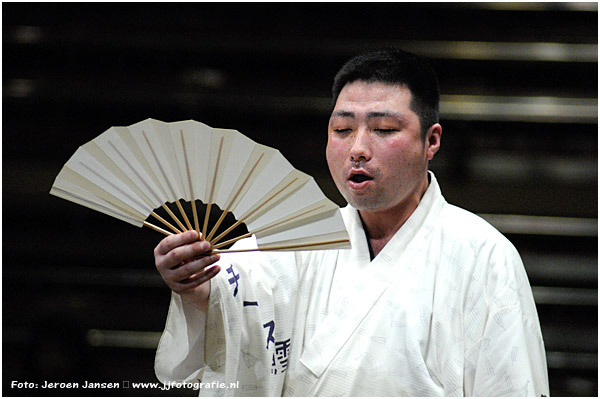 In training this may be repeated hundreds of times in a row. 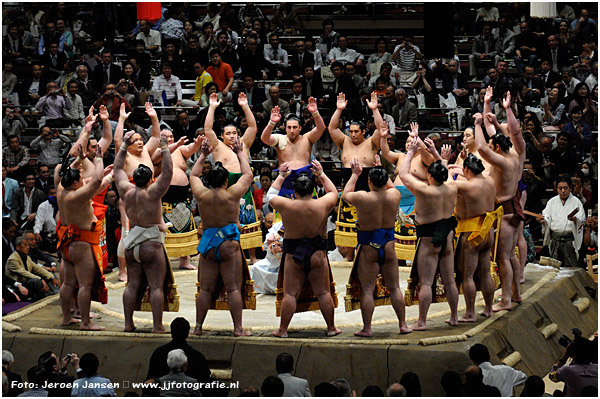 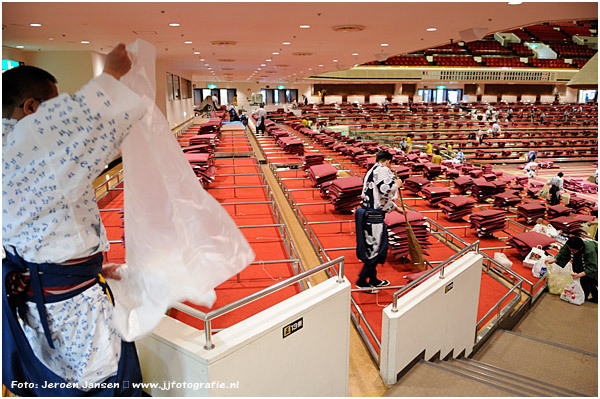 Shiko is also performed ritually to drive away demons before each bout and as part of the yokozuna dohyo-iri. 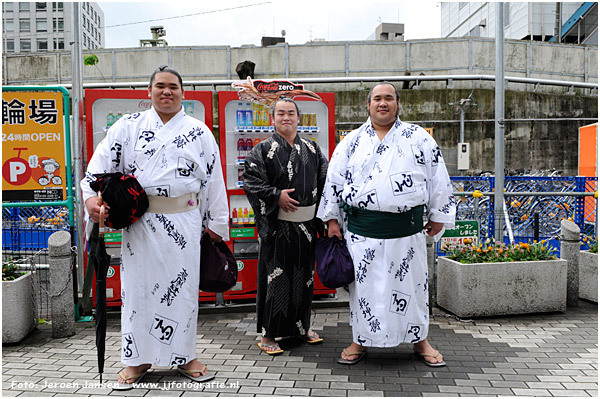 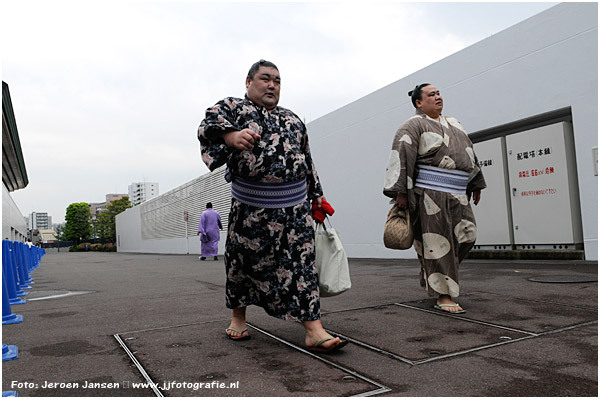 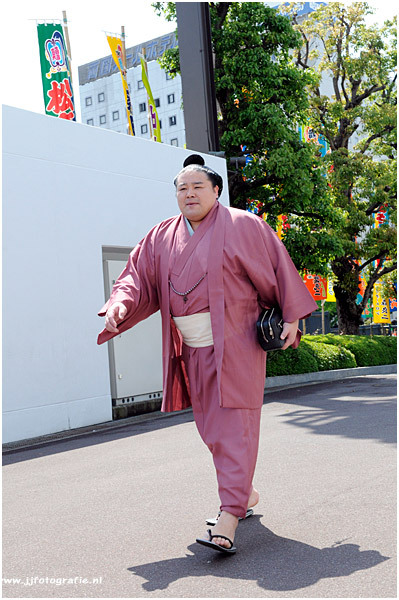 * The name yokozuna comes from the rope (tsuna) a yokozuna wears for the dohyō-iri. 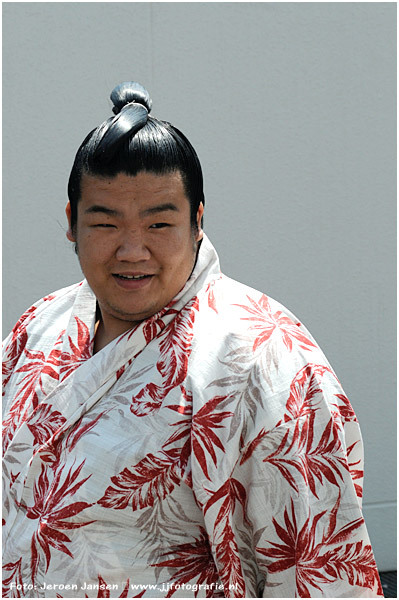 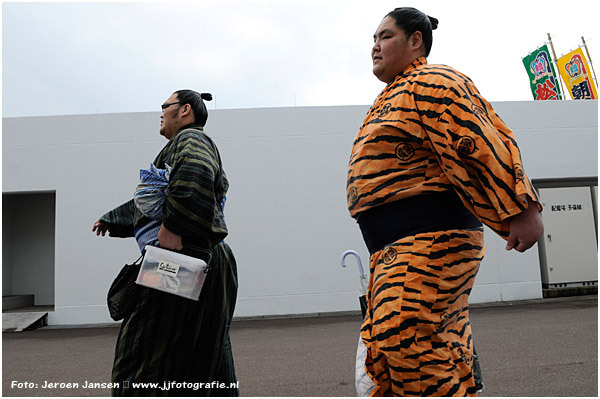 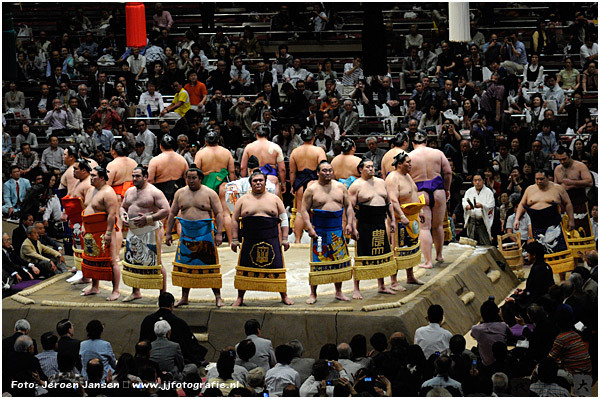 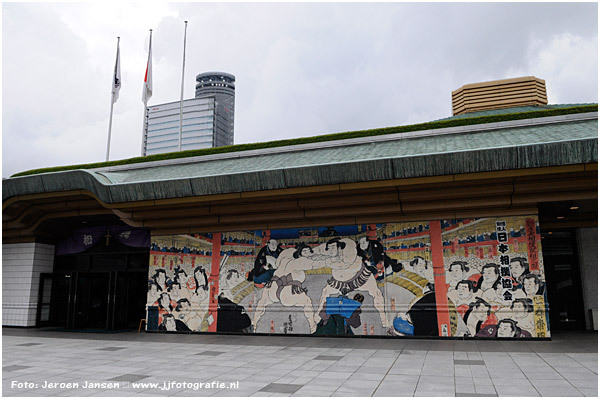 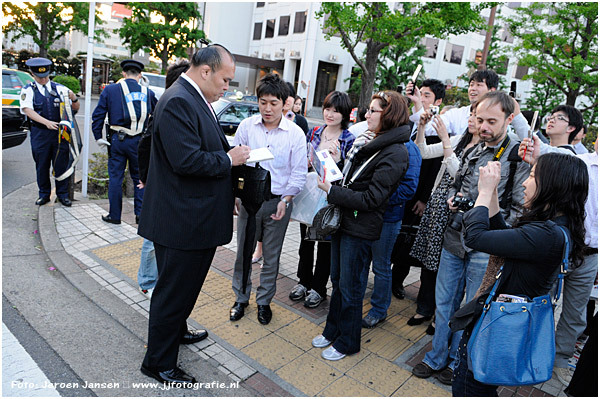 Tsuna is the heavy rope worn by the yokozuna from which that rank takes its name. 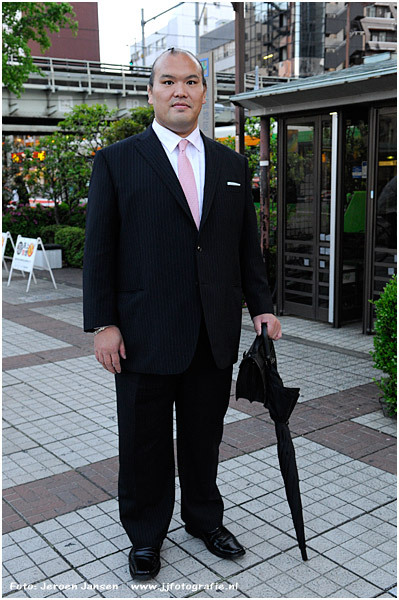 It weighs about 15 kg, and is much thicker in front than where it is tied in back. 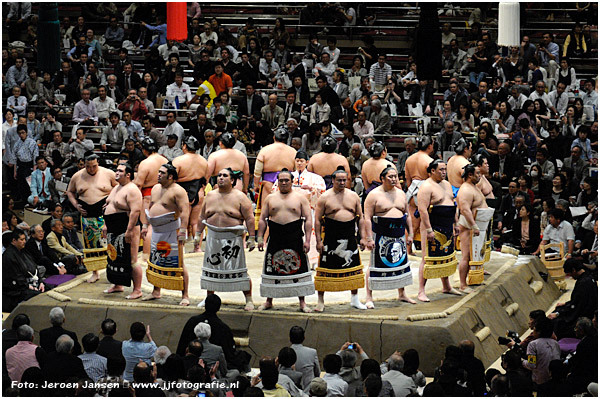 Five shide, zig-zag paper strips symbolizing lightning, hang from the front. 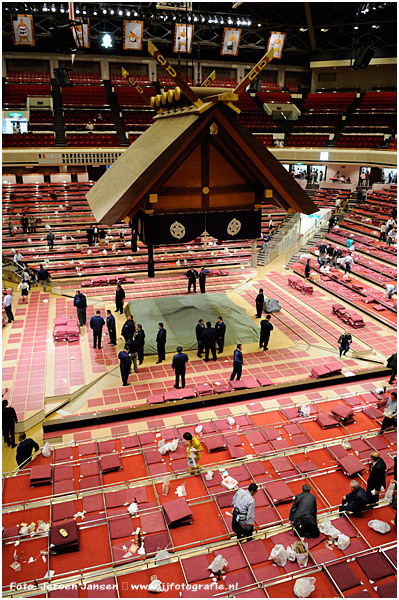 It strongly resembles the shimenawa used to mark sacred areas in Shinto.